The easiest way to find it is to go across the Museum lawn and cross at the lights. Go slightly left and through the archway between the campus bookstore and OUSA office. Go to the furthest glass doors on the building to the right (the food court). Through the double doors, the main common room is immediately on the left. 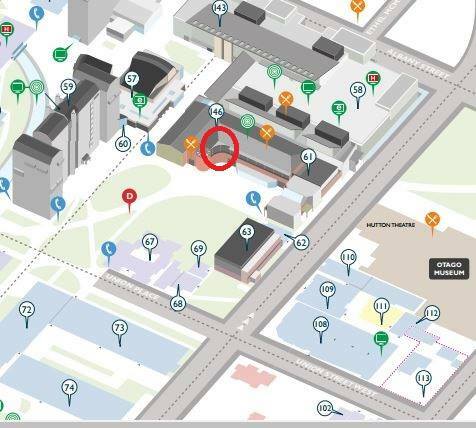 ​If you go through the Link building, then halfway down the building is a corridor under the stairs that leads to the hallway between the food court and MCR.